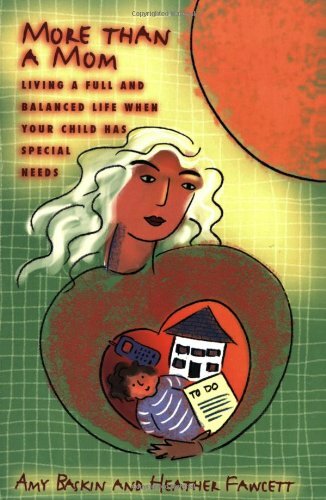 More Than a Mom: Living a Full And Balanced Life When Your Child Has Special Needs by Heather Fawcett and Amy Baskin. Rather than focusing on the grief and strife, this book is all about dealing with the diagnosis and getting on with your life. There’s not much in this book about battling doctors and hospitals and therapists and diseases and delays; it’s all about taking care of yourself, your marriage, your child, your family, your finances, and your career. Pp. 487.